When light from a distant object reflects off of a concave mirror and comes to a focus some distance in front of the mirror, we model light as a _____ to explain and predict the behavior of light and the formation of an image. This is College Physics Answers with Shaun Dychko. 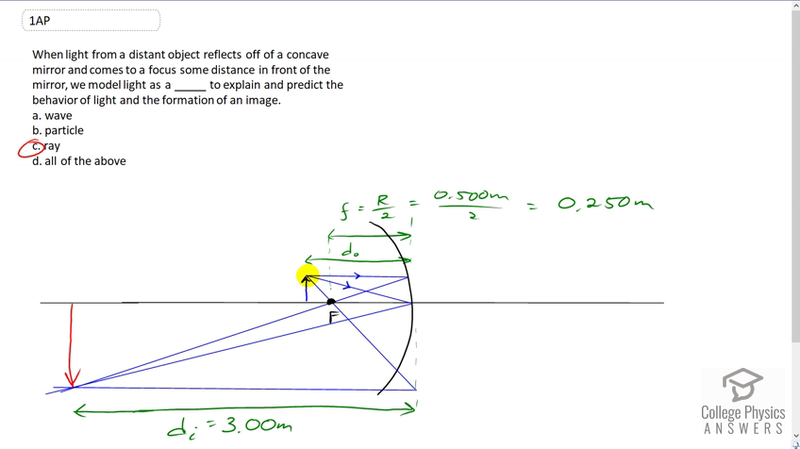 Here's an example drawing from question 63 and the problems and exercises section and it shows us using Rays to model how the light is reflected from a concave mirror. And it's the answer to then is C . This is what how we figure out where the image will be.